Each of the full-blown wars between Israel and its Arab neighbours have carried a great measure of significance. The War of 1948 led to the creation of the modern state of Israel, a cause for euphoria among the world’s Jews in the post-Shoah-era, in contrast to the Nakba inflicted on the Arabs of Palestine. The War of 1967, during which Israel routed three Arab armies in six days established Israel as a regional hegemon while its defeated Arab neighbours stewed in their humiliation and the Palestinian communities in the West Bank and Gaza came under occupation. The Arab-Israeli War of 1973, known either as the “October War” or as the “Yom Kippur War”, is one which created the impetus for the Camp David Accords of 1978 which paved the way for the Egypt-Israel Peace Treaty of 1979. But the war that commenced on October 6, 1973, by the surprise attack on Israel by Egypt and Syria, is also worth examining because it provides a framework towards understanding what has changed and what remains unchanged so far as the dynamics of conflict in the Middle East is concerned. 1. The Preconception. The Israeli rout of Arab armies in the “Six Day War” of 1967 led to laxity borne of overconfidence and arrogance pertaining to Arab military capabilities. The prevailing view was that Arab armies would not attack Israel until they could develop the capability to match Israeli air power. Although hubris was widespread, criticism quickly focused on one person. Moshe Dayan, who had held the portfolio of minister of defence since that war, was largely held to blame for not predicting the Arab attack and the level of unpreparedness the attack exposed. Although a cunning and ruthless general, he was decidedly not a very competent peacetime administrator. 2. The failure of intelligence. Israel’s inability to predict the Arab attack was not simply because the Egyptians had successfully employed Russian-derived deception techniques enshrined in the military doctrine of Maskirovka. It had a lot to do with the monopolization of all-source intelligence by Israeli Military Intelligence. Added to that were a number of false warnings, including one given by Ashraf Marwan, an Egyptian Mossad spy who was the son-in-law of the late Egyptian president, Gamal Nasser. The astronomical costs involved with the mobilisation of the Israeli army may have also contributed to a psychological fatigue and caution in responding to continued warnings in the lead up to the actual attack. 3. The war was not intended to destroy Israel and liberate Palestine. As was the case with the wars of 1948 and 1967, the often propagandized danger of annihilation by combined Arab forces was not present. The armies of both Egypt and Syria had limited objectives. The former wished to breach the “Bar Lev Line” and retake territory across the Suez Canal, while the latter hoped to to retake the Golan Heights lost to Israel during the “Six Day War”. There was no overarching plan to destroy Israel and proverbially “sweep the Jews into the sea”. The intended limited gains were simply to restore a degree of Arab pride and to use the war as leverage in negotiating the return of land occupied by Israel. 4. The oil crisis. Under the auspices of the Organisation of Petroleum Exporting Countries (OPEC), the Arab states enforced an embargo on oil sales to the United States and any country giving aid to Israel. A five percent reduction in oil production led to an increase in the cost of fuel and contributed to a period of economic stagnation in the West. 5. The world may have come to the brink of nuclear catastrophe. The Soviet Union is claimed to have deployed Scud missile brigades armed with nuclear warheads, while Moshe Dayan is said to have ordered the preparation of at least one ballistic missile capable of carrying a nuclear warhead. In his book The Samson Option: Israel’s Nuclear Arsenal and American Foreign Policy, the Pulitzer Prize-winning author Seymour Hersh wrote that Israel’s missive to the administration of President Richard Nixon requesting an arms airlift, was accompanied by the threat of deploying nuclear weapons onto the field. Although the recollections of Arnan Azarhayu, an Israeli political insider, portray a more restrained reference to recourse to nuclear weapons in cabinet discussions during the war, it is nonetheless established fact that the United States placed its Strategic Air Command, Continental Air Defense Command, European Command and the Sixth Fleet on DEFCON 3 alert because of fears that the Soviet Union might intervene in the conflict on the side of its Arab allies. 6. The war ended as a victory for Israel, although the Arabs declared it a victory. The Egyptians, protected by surface-to-air missiles, crossed the Suez Canal and breached the “Bar Lev Line”. They held onto their gains after the failure of an initial Israeli counter-attack. The Syrians also made gains on the Golan Heights. However, Israeli successes after a counter-attack in the Golan theatre of war meant that President Hafez Assad sent a missive to President Anwar Sadat requesting that the Egyptians attack further into Sinai so as to relieve the pressure on his army. A refusal on Sadat’s part would have left the Syrian front liable to collapse with the effect that the Israelis would have been able to redeploy a substantial portion of its armed forces against the Egyptians. Meanwhile as the Israeli High Command mulled over the difficult decision of whether to attack across the canal, Mossad received a message from an informant indicating that three Egyptian paratroop brigades were planning to land at specific locations behind enemy lines. But the garbled transcript provided no decipherable information which provided a logical rationale for the Egyptians to make this military decision. However intelligence previously received from Ashraf Marwan filled in the gaps. Earlier in 1973, Marwan had sent his Mossad handlers an Egyptian Army war plan setting out that sending Egyptian special forces behind Israeli lines was to serve as the prelude to the crossing of the canal by attacking formations of armoured divisions. 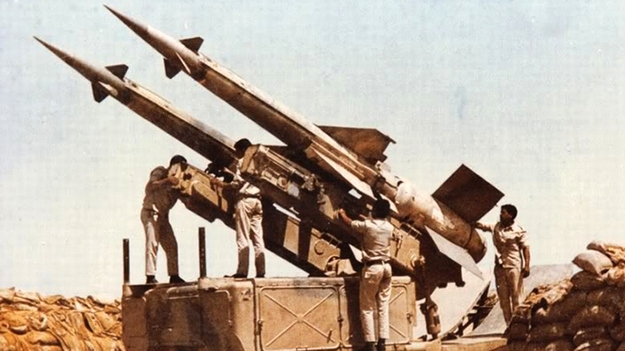 An Egyptian attack meant that part of its army would need to come out of the protected ‘umbrella’ within which the Israeli Air Force was vulnerable to Soviet-made surface-to-air missiles. It also meant that the Israelis could engage the Egyptians in a defensive action during which they would aim to significantly reduce Egyptian tank strength before launching an attack across the Suez. In the ensuing battles, the Egyptian Third Army became encircled and part of the east bank of Suez recaptured. The Israelis also proceeded with an attack across the canal. The Egyptian failure to hold on to much of their initial gains was offset by the slithers of territory they retained on the eastern bank of the Canal. However, the war ended with Israeli forces about 80 kilometers from Cairo and approximately 40 kilometers from Damascus.